Volunteer Guidelines – Pets On Wheels of Scottsdale, Inc. The purpose of Pets on Wheels is to enhance the lives of the elderly or infirm, now relegated to routine and often uncomfortable lives in special care centers, such as nursing homes, and those who are home-bound. Another purpose is to assist in the rehabilitation of special injury patients and to help build self-esteem in young students in special schools. Additional purposes are to teach children respect for animals and how to avoid injury from dogs and cats, and to spread the word around the world about the human-animal bond. The objectives are to conduct regular (and quality) weekly visits with pets, to as many residents as possible. Such contacts with animals are known to provide both physiological and psychological benefits — conjuring up fond memories and creating a relaxing and therapeutic effect. The program is contributor funded as a not-for-profit corporation under 501(c)(3). Many types of dogs are ideal for a pet visitation program and can become “Visitation-Therapy Pets.” They can be fun dogs that show off a few tricks and entertain groups of residents, or quiet and easy going dogs that will allow extensive petting and provide the residents with a warm and calming experience. They may be large enough to rest their heads on the edge of a bed, or small enough to be held and cuddled. But mainly, they must be clean, gentle natured, well behaved, and under the complete control of their handlers at all times. Dogs must be at least 1-year old, spayed or neutered, and well adjusted. Some dogs, especially puppies, will have to mature and undergo special training before they can qualify as visitation pets. Spaying or neutering not only improves the temperament of most dogs and cats, but, most importantly, is the best solution to reduce the euthanizations made necessary by the great number of unwanted animals. In Maricopa County alone, the number of 63,000 animals put down in 1993 was reduced to 28,000 in 2002. Dogs, and other pets, must have current [home] State and/or County Pet License. Gentle cats and birds, as well as other pets, often do well. Everyone benefits — good therapy for those at the care centers, excellent socialization for the pets, and an extremely rewarding experience for the volunteers. The care centers benefit, as well, with this extra activity for serving their clients. Young people together with pets provide a double benefit. However, a parent must accompany volunteers under the age of 18 to the initial evaluation visit as well as their first attendance at a volunteer’s meeting, in order to be totally familiar with the activity. Children under the age of 16 must be accompanied by an adult on each visit to the care centers, as well. This provides the care centers and the program with added assurance and can be a family project. Initially, all new applicants and their pets will attend one of the group meetings held monthly with the President, Secretary, and Volunteer Coordinator. Each applicant will submit completed application forms plus a copy of their driver’s license. A video will be shown and applicants will be able to tell a little about themselves and their pets. Photos will be taken and there will be a brief walk-through with each applicant and their pet. 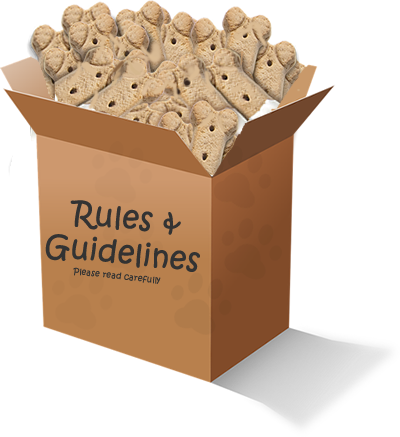 If everything is satisfactory, applicants will be given a copy of the Guidelines and a veterinarian’s pet health examination form. Each pet must be taken to a veterinarian together with a stool sample. On the reverse side of the health form is a list of about 15 veterinary clinics which provide reduced prices for the volunteer pet’s examinations. If the veterinarian is not your regular one, be sure to take a record of the pet’s rabies shot and other inoculations. Because of the frail and sensitive nature of many of the residents and patients, a background check will be made of all volunteer applicants. Finger prints are not required. Background Check Form is not required until submitting your application payment. All information is strictly confidential. When the pet health certificate is submitted and a background check is completed, an evaluator will arrange a meeting with the applicant and pet, at a designated health care center. During that meeting, the guidelines will be reviewed. Then, the prospective volunteers will follow an experienced visiting team through the care center for 20 minutes to observe the procedure and become familiar with the facility. Next, each new volunteer will visit 6 or 7 residents — with the evaluator along to observe and answer questions. During the entire period, the pet and its handling will be carefully observed. If all goes well, the new pet is given a Pets on Wheels red logo bandanna and a safety collar-lead and the volunteer is given a name-tag lanyard — whereupon the new volunteer-pet team may begin weekly visits on its own. Name tags and T-shirts are provided at the next quarterly volunteer meeting. Upon passing, Pets on Wheels of Scottsdale, will issue a Certification of Volunteer-Pet Team for the Health Care Centers we serve. Pets on Wheels of Scottsdale is also listed on the AKC Therapy Dog Program for approved sources. The volunteer goal is to make 1-hour visits weekly, with concerted effort to average at least three times a month. Program objectives are to see that each resident who wants, or can have, a visit, is visited weekly. The pets have meaningful contacts with an average of 16 residents during each visit. As they get to know volunteers, and especially their pets, the residents will be looking for them each week. Volunteers may make visits at their own convenience, within the parameters set by the care centers and personal experience, such as avoiding mealtimes. Visits are scheduled in advance at only a few centers. If a resident dog is noticed loose in the care center, it is important to request the receptionist to have it confined during the length of your stay. On each visit, volunteers are to print clearly, in a special log book located near the reception desk, the date and time entering and leaving the care center, as well as an estimate of the number of meaningful contacts with the residents. This will provide a record of the activity and may become a useful tool for future funding support and awards. Do not take sick animals to the care centers. Be sure to provide water and some exercise and relief within 30 minutes before visits, using baggies or paper towels to remove droppings. Keep the pet on leash at all times, except for a special activity, after which it should not be allowed to roam uncontrolled. The special safety collar-leads are to be used upon entering care centers, rather that leashes with metal buckles, clips, and tags — to prevent scratches or bruises. It is important to change to regular collars after leaving the facility, so the identification tags will always be with the pets in the event of an accident or escape. Pets should always be clean when visiting, as there is a lot to petting and hugging. A bath is not always necessary, but a good rubdown with a dampened towel will remove dust and any surface odor. Certain dogs and cats require brushing to look their best. Attention to the pet’s toenails will also help prevent scratching the thinner skin of some residents. Careful attention should be given to both the pets and the residents at all times — first, to prevent any sudden shock to residents caused by the animal’s quick and unexpected movements, but also, to avoid injury to the pet itself by being dropped or by the movement of wheelchairs or special equipment. Visiting with more than one pet can cause undue distractions and can be done only with special permission. In moving throughout the nursing homes, avoid food preparation areas and keep pets from searching the floors for dropped bits of food. Care must also be given to the floor’s condition at all times. You may be there just before the mop arrives. Also, the policy is to keep the dogs away from each other in the care centers or at meetings. Sure, they’ve been tested and they may want to meet — but one may not feel as good about it as the other, on a given day. Should you run into another team on your visit, just head down a different hallway. Meet outside later, if need be. Volunteers are urged to attend the quarterly meetings which are to be considered part of their training to be effective in the program. Volunteers will share their experiences, gain information without extensive telephoning or e-mailing, as well as enjoy and learn from the films, speakers, and other program features — designed to improve their ability to handle and care for pets and understand the elderly, infirm, or other special people. A special volunteer recognition meeting is held each fall. Usually a pet costume show and trick exhibition follow the awards ceremony. As many as 35 to 50 volunteer-teams receive special awards each year for their outstanding service. Be certain to check the calendar for updated meeting dates and times. This program is to bring interest and some periodic comfort to the lives of those who can no longer have pets. Not everyone cares for animals, however, and some are even allergic to them. Avoid such residents carefully. Often, however, some who profess dislike, show greater interest during a later visit. The names and/or room numbers of those who are not to be visited by pets may be listed at the front of the visitor’s log book. Volunteers and activity directors are responsible for keeping the list current. The size of the dog, wishes of the resident, and common sense should be considered as to whether the dog is to stay on the floor, sit or lie on the bed, or be held by the resident or handler. Some training techniques will be shown so that medium-sized dogs will learn to stand with their front feet on the edge of a bed, wheelchair, or someone’s knee to be petted. Upon entering a room, avoid saying “How are you?”. A simple greeting like “Good morning! My dog, Buddy has come to visit” can be followed with information about the animal. Some conversation may then begin, most often between the resident and the animal. Don’t feel slighted. Report any small scratch or other injury caused by the pet, immediately to a staff nurse. Also, any major complaints of a resident should be relayed to a nurse or the activity director. Most often, they are well aware of chronic difficulties, real or imagined, but the information may be helpful. Any suspected abuse should be reported to the Pets on Wheels Volunteer Coordinator. Important: Let the Volunteer Coordinator know about any incident which involves a POW pet while at a POW activity. The preceding sections of these guidelines apply to volunteers visiting home-bound as well as health care centers. A major difference in visiting a home=bound person is that visitors are to telephone at least a day ahead of each visit. Also, a special form is provided for keeping an annual record of home-bound visits, a summary of which is telephoned to the Home-bound Chairperson or Volunteer Coordinator at the end of each month. Care should be taken that residents secure any cats or birds before you enter the home with a pet. Allow a dog to be off leash only as the resident wishes. The dog may want to go on an initial exploration trip through the house. Make sure this is approved, and accompany it. Allow the pet to make friends without forcing or pressure. A small treat from the resident will help. Cheerios can be good. Pets on Wheels is an organization dealing with pets which, in spite of extensive and repetitive training, have only the judgement level of 2 to 3-year old children. You are dealing with elderly and/or infirm individuals with limited mobility and delicate systems. It is important that you consider these factors and follow these guidelines. Pet-visitation therapy programs, whether called Pets on Wheels or by many other names, have had outstanding safety records over the years. As pet visitation becomes more widely accepted and more pet owners become involved, care becomes more important. A reason for the excellent safety record is the type of individuals willing to donate time, pets, and transportation costs to enhance the lives of others in this way. A paper on resident dogs was sent to each of the care centers, recommending that such in-house dogs were advisable only when there was not an alternative structured pet-visiting program to serve them (see menu at left, “Resident Dogs in Nursing Homes”). Whereas, many of the residents and staff become attached to their resident dog, many of the needs of both the residents and the dogs cannot be met. If you are visiting a care center which has a resident dog, do not think you are not needed. The resident dog often spends time only with those who give him things he should not have. He will not make an effort to distribute his visits uniformly. You may be asked to check in at the reception desk at the beginning of each visit, so the resident dog may be put in a secure place during your visit. Be sure to report any incidences. There are several special visiting projects which are ancillary to the routine visits to nursing homes. Most often, volunteers are scheduled to visit such facilities only once a month, while visiting their regular care centers for the additional weeks each month. The Children’s Pet Safety Project was started in the fall of 1997. A select group of volunteers began presenting to the second-grade classes in the Scottsdale elementary schools. The object is to teach 1,600 to 2,000 students each year proper respect for animals and how to avoid bites and scratches from dogs and cats. In addition to an excellent 25-minute video, called “Dogs, Cats, and Kids,” the children have an opportunity to approach a live dog and are given a coloring book and other handouts to take home to their families. Many injuries have been prevented and maybe even some future lives will be saved as a result of these presentations. Additional ancillary visits: Additional visits are made to the Virginia G. Piper Cancer Center. Also, special teams visit developmentally challenged youth at Life Skills classes in local high schools and at Cortney’s Place. (see menu item, Ancillary Projects) More recently, teams have visited homeless families being hosted by two Scottsdale churches through Family Promise of Greater Phoenix. Pets on Wheels of Scottsdale volunteers are visiting 14 nursing homes and 6 ancillary projects (including Virginia Piper Cancer Center) each week. We need 120 to 140 volunteer-pet teams to be most effective. You can help by telling other pet owners about the program. Also, the bumper stickers and magnetic car signs attract attention. In consideration of the importance of this program, the leadership efforts necessary, and the overall effectiveness. Each volunteer is asked to “pledge” to make every effort to visit weekly. If, for any reason, a volunteer is not going to continue participating in the program as described in these guidelines, volunteers are asked to please leave a message for the President or Volunteer Coordinator, at 480-312-1741. Sometimes a change to a different nursing home, or to a day care center, may be helpful. Volunteers unable to visit for a month or more are asked to leave a message! Each volunteer is important in the life of this organization. An organization of this type is like an organism, which grows and nourishes itself through the activity of each cell — you and your pet. Sharing your pet’s love can make a difference! *For distemper, hepatitis, leptospirosis, parainfluenza, parainfluenza, bordetella, & parvo/corona virus protection.